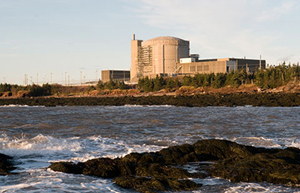 NB Power announced Tuesday that its Point Lepreau Nuclear Generating Station (PLNGS) is now at full operational capacity. The plant is capable of generating approximately 660 megawatts of electricity which, according to the company, is enough to power approximately 333,000 traditional homes on an annual basis. It serves the New Brunswick electrical grid. The facility was taken offline Oct. 13 to complete repairs on a turbine auxiliary system within the non-nuclear portion of the plant. The company reports that the facility was reconnected to the grid on Oct. 18 and had gradually built up to full-generation capacity. The company reports that in October. the facility had a net capacity factor of 82 percent. The company states that the plant produced approximately 52 percent of the electricity generated by NB Power. The company has also released details on the planned Exercise Intrepid 2015. This is a comprehensive exercise to evaluate the nuclear emergency plans at the facility that it is being conducted by the Department of Public Safety Tuesday and Wednesday. Tests and evaluations such as this are carried out on a regular basis to facilitate sufficient response capabilities in a nuclear accident. Want to get notified whenever we write about NB Power ? Next time we write about NB Power, we'll email you a link to the story. You may edit your settings or unsubscribe at any time.